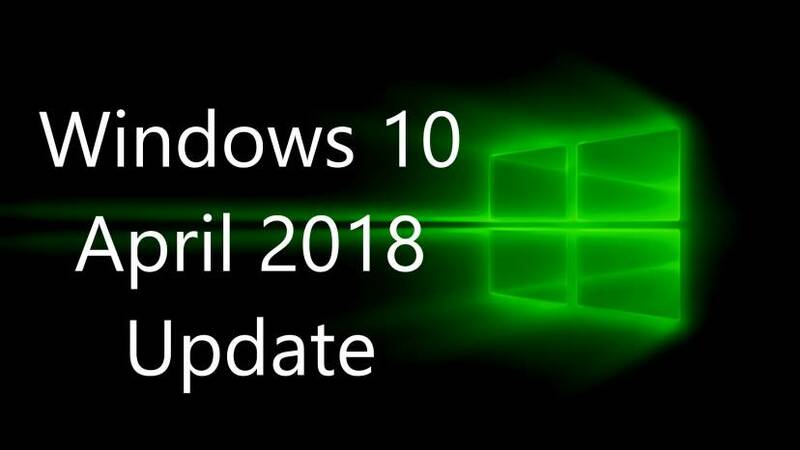 Windows 10 April 2018 Update (version 1803) is now available for download. The new version of Windows 10 comes with new features and improvements. However, some unlucky users are facing issues where feature update to Windows 10 version 1803 freezes or random crashes with a blue screen error. We’ve collected few fixes for these update issues. Check out full details below. According to a Microsoft, some freezing issues are causing by Google Chrome and other apps, including Cortana digital assistant, which comes built into Windows 10. The new Windows 10 April 2018 Update could hang or freeze at random times. Check out two workarounds that could help recover the system. Laptop users can close and open the lid to get their device in working condition – this basically pushes the system to sleep and then wakes it up straight to Windows 10. Try a Windows key sequence to wake the screen, simultaneously press the Windows logo key + Ctrl + Shift + B. A tablet user can simultaneously press both the volume-up and volume-down buttons, three times within 2 seconds. If Windows is responsive, a short beep will sound and the screen will blink or dim while Windows attempts to refresh the screen. Press Windows Key + X and choose Command Prompt(Admin) from the menu. Some software’s create problems with Windows 10. Like Speccy, Acronis True Image, Privatefirewall, McAfee, and Office Hub App can freeze your system. Uninstall these programs. Even I faced bluescreen reboot loop issue with a very small font software. Sometimes connected devices create freezing issues or blue screen issues with Windows 10 April 2018 Update. Disconnect any connected USB device before you turn on your system. When Windows 10 boots, you can connect your USB devices again. Update chipset drivers on your computer. Sometimes old USB 3.0 drivers can create issues with Windows 10. If possible update your USB 3.0 drivers also. Press Windows Key + S and type Power Options. Select Power Options from the menu. Find your plan and click Change plan settings. Management option. Change the Setting to Off. For some users, disabling Location Services can also fix these errors. If you have desktop or laptop without GPS device, disable location service. One service is better. To disable Location Service Go to Settings> Privacy> Location and turn that off. locate your dedicated graphics card in Device Manager and right click it. Check for latest driver updates for the graphics card. Certain BIOS setting such as AMD Cool’n’Quiet or Fast Boot can also freeze your computer. Disable these features from BIOS and check if the issue is resolved. After you’ve disabled these settings, save changes and restart your computer. Update your systems BIOS drivers. Old BIOS drivers can also create blue screen errors. Visit your motherboard manufacturer’s website and download the latest BIOS update. Please avoid this option if you do not know what BIOS update is. It can permanently damage your motherboard. Flash your SSD firmware to newer one can also fix freezing and BSOD issues. You have to be careful while flashing your SSD firmware. If you are facing issues while downloading or installing feature update to Windows 10 version 1803, check out below link to fix these issues. Also, now you can download Windows 10 April 2018 Update ISO files from the link below. I enjoy whаt you guys tend to Ƅe up too. This typе of clever work and coverage! hmVZOC Really appreciate you sharing this blog.Really looking forward to read more.